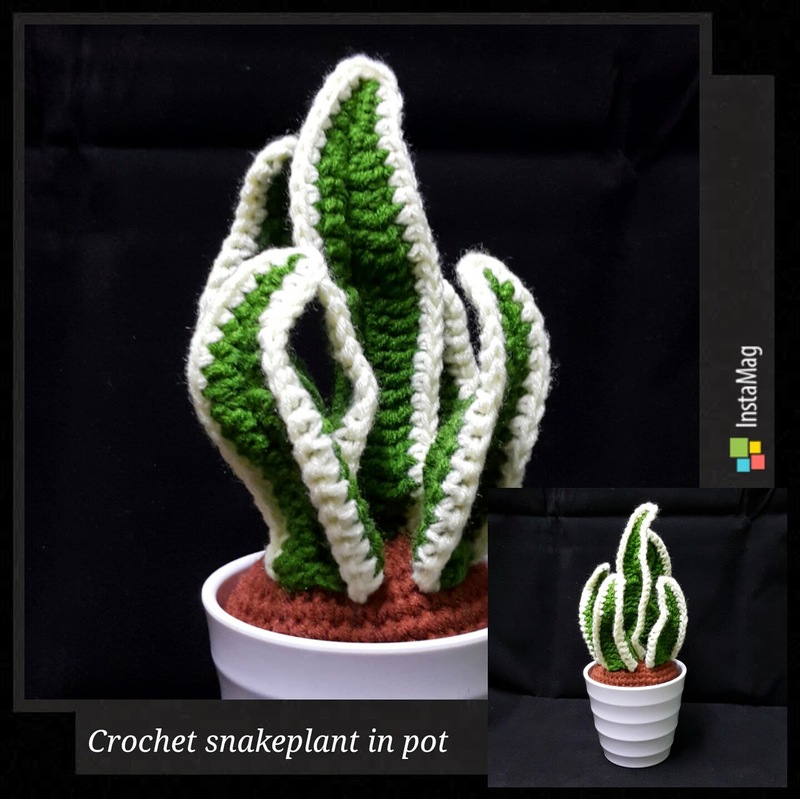 Crochet snake-plant in pot, also knows as mother-in law's tongue, is a hardy plant, but the crocheted form is even less demanding; it will never die and needs no watering nor sunshine. It would be a nice gift or make lovely home decoration. Go GREEN.